So far (2 years) it has held up pretty nicely, considering it has been used in a room for children. 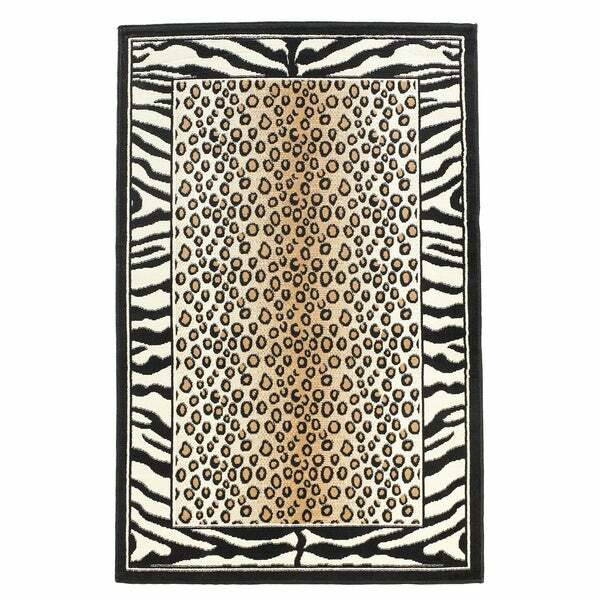 Linon Capri Black/ White Area Rug (4'3 x 7'3) - 4'3" x 7'3"
Create a bold display and tie together any room in exotic style with this Capri zebra and leopard rug. Made of 100-percent polypropylene for easy care, this transitional rug will make a great addition to your home. I LOVE, LOVE LOVE THIS RUG! COLORS ARE PERFECT FOR MY LIVING/DEN! I AM A COLLECTOR OF ALL THINGS JUNGLE AND THIS IS A PERFECT MATCH FOR MY HOME! SETS OFF MY ART YET DOESN'T DISTRACT. SIZE IS GOOD AND SUCH A GREAT PRICE! Rug arrived quickly and hassle-free. Is precisely as described. When it arrives, roll it the other direction for a few hours and it will then lay flat. After placing in t he room, put a few heavy books on the corners for another couple hours and then it's perfect! 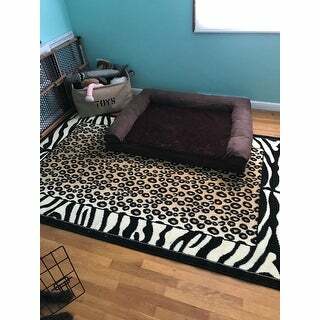 We have Overstock rugs in most rooms and they hold up nicely, even with children and pets and they have many too choose from to accent any room! Really great rug for the price! However mine arrived with a breach in the packaging and some dirt and stains. When I contacted Overstock I mentioned I did not wish to return it because of the hassle. I thought I may get a modest credit for the trouble but I got only a very curt sorry for your inconvenience. A little underwhelmed by that. But on the subject of the rug I think it's a great value and really quite pretty in person. I love this pattern..and the soft texture of the rug. A great change from floral rugs. Some new and it matching my nice furniture l Thank You Overstock! I love the pattern. It matches everything including my personality.